Draft: 2008, Pittsburgh Pirates, 5th rd. Selected by Pittsburgh in ﬁfth round of 2008 First-Year Player Draft...Acquired by New York-AL from Pittsburgh in exchange for C Francisco Cervelli on November 12, 2014...Acquired by Detroit from New York-AL in exchange for C Luis Cessa and RHP Chad Green on December 9, 2015...Acquired by Chicago-NL along with C Alex Avila in exchange for INF Jeimer Candelario, INF Isaac Paredes and a player-to-be-named-later or cash considerations on July 31, 2017. Made 71 relief appearances, his most games since pitching in 74 outings with the Yankees in 2015...Stranded 34 of 37 inherited runners...His 91.9 percent inherited runner stranded rate led the NL and was second in the majors behind Oakland's Ryan Buchter (93.3 percent)...Held his opponent scoreless in 56 of 71 relief appearances... Retired 49 of 71 first batters faced...Limited left-handed batters to a .190 average (15-79) and a .342 slugging mark...Right-handed hitters batted .244 (30-123) with a .358 slugging percentage...Finished with a 2.12 ERA (seven earned runs/29.2 innings) in 37 road outings, the 10th-best mark by a left-handed reliever (min. 20 road appearances)...Posted a 0.71 ERA (one earned run/12.2 innings) in 12 May outings…Walked seven, struck out 13 and held the opponent to a .143 average (6-42) and a .427 OPS...Recorded a season-best 11.1 scoreless innings streak, May 22-June 13…Notched three holds and 19 strikeouts in 10 outings during that span...Tied his career-high mark with four strikeouts on June 2 at the Mets...Did not allow a run or a walk in 14-straight appearances (8.0 innings) from August 7-September 6. Began the season with the Tigers before being traded to the Cubs at the trade deadline ... after posting a 2.68 ERA (12 ER/40.1 IP) in 42 games with Detroit, he pitched to a 5.09 ERA (10 ER/17.2 IP) in 23 games with Chicago... Stuck out a career-best 80 batters in 58.0 innings between Detroit and Chicago ... limited batters to a .190 average (40-for-211), including a .170 mark (25-for-147) by righties ... however, he walked a career-high 35 batters, contributing to a .306 opponent OBP... Walked 19 batters in 17.2 innings with the Cubs ... did not walk a batter in 11 outings with the Cubs, posting a 1.74 ERA (2 ER/10.1 IP) in those games... Struck out the only batter he faced, September 15 vs. Cardinals ... entered with two on and two outs in the fifth inning following the ejections of John Lackey and Willson Contreras and helped the deficit remain at 2-1 ... the Cubs rallied for an 8-2 win... Did not allow a run in six-straight outings, August 20-31... Made his Cubs debut, August 2 vs. Arizona, allowing one run in 1.0 inning... Appeared in one postseason game with the Cubs, retiring both batters faced in NLDS Game Four vs. the Nationals... Went 3-4 with 13 saves and a 2.68 ERA (12 ER/40.1 IP) in 42 relief appearances for the Tigers ... held opponents to a 0.94 WHIP while limiting foes to a .157 batting average, including a .220 mark by lefties and a .131 mark by righties... Named Tigers Pitcher of the Month for April after going 1-1 with one save and a 1.69 ERA (2 ER/10.2 IP) in 12 outings. Completed his first season with the Tigers in 2016, appearing in 66 games and posting a 4-5 record with one save, a 4.14 ERA (58.2IP/27ER) and 65 strikeouts... Ranked tied for seventh in the American League with 25 holds... Pitched in each of the first three games of the season, throwing a scoreless inning in each appearance -became the seventh Tigers pitcher since 1913 to appear in each of the team's first three games of the season and the first since Jose Valverde in 2010...Recorded the 200th strikeout of his major league career on April 13 at Pittsburgh, fanning Josh Harrison in the seventh inning... Started the season by not allowing a run in his first 12 appearances from April 5-May 1, a stretch that spanned 11.0 innings…his 12 consecutive scoreless appearances to start a season were the most in his career…dating back to September 30, 2015, Wilson had not allowed a run in 14 straight appearances, tied for the longest streak of his career as he also had a streak of 14 straight scoreless appearances from May 26-June 27, 2015. Earned his first win of the season on May 23 vs. Philadelphia…also picked up the win on June 7 vs. Toronto, August 18 vs. Boston and August 29 vs. Chicago (AL)... Pitched in 10 games during June and had a 1-0 record with a 1.93 ERA (9.1IP/2ER) and nine strikeouts... Picked up the first save of his major league career on July 27 at Boston, throwing a scoreless inning with one strikeout...Lefthanded hitters posted a .308 (28x91) batting average, while righthanders batted .234 (33x141) against him...Appeared in 34 games at Comerica Park and was 4-0 with a 3.41 ERA (31.2IP/12ER) and 33 strikeouts, while he was 0-5 with one save, a 5.00 ERA (27.0IP/15ER) and 32 strikeouts in 32 road outings. • Posted a 2-2 record with a 3.51 ERA (33.1IP/13ER) and 42 strikeouts in 37 games prior to the All-Star break, while he was 2-3 with one save, a 4.97 ERA (25.1IP/14ER) and 23 strikeouts following the All-Star break. Established a career high with 74 appearances in 2015 with the New York Yankees. Finished the season tied for second in the American League with 74 appearances. Allowed just seven of his 44 inherited runners (15.9%) to score, which ranked second in the American League and fifth in the majors -- retired 54-of-74 (73.0%) first batters faced. Earned his first win of the season on April 27 vs. Tampa Bay, throwing a scoreless inning with one strikeout. Recorded 10 straight scoreless appearances from April 17-May 7, a stretch that spanned 6 2/3 innings. Threw a season-high 2 innings on June 14 at Baltimore, striking out three batters -- the outing was his longest since May 15, 2014 with Pittsburgh at Milwaukee. Had a career-long 13.1 inning scoreless stretch from May 26-June 27. Appeared in 12 games during July and went 1-0 with a 1.80 ERA (10.0IP/2ER) and 13 strikeouts. Struck out a career-high tying four batters in 1 1/3 innings on September 19 at the New York Mets. Tossed 1 1/3 scoreless innings with one walk in the Yankees' Wild Card Game loss vs. Houston. Held righthanded hitters to a .216 (32-for-148) batting average, while lefthanders hit .236 (17-for-72) against him. 2013 SEASON: Spent first full season in the Majors with Pittsburgh and led National League rookie relief pitchers in ERA and wins...Ranked fourth among all N.L. left-handed relievers in ERA and sixth in strikeouts...Held right-handed batters to a .189 average (33-for-175) and lefties to a .200 mark (17-for-85)...Surrendered three of his four home runs to right-handed hitters; the only lefty to take him deep was Raul Ibanez on 6/26...Posted a 1.80 ERA (40.0ip/8er) and did not allow a home run in his 32 appearances at PNC Park...Recorded an ERA below 1.70 in four of the six months of the season...Pitched more than 1.0 inning in 24 of his 58 appearances and posted a 1.31 ERA (20.2ip/3er) when pitching 2.0 innings or more (nine games)...Made season debut on Opening Day (4/1) and tossed 1.1 scoreless frames vs. Chicago...Pitched 3.0 innings in second appearance on 4/8 at Arizona; also struck out in his first Major League plate appearance on 4/8...Pitched career-high 3.1 innings and gave up two runs on 4/15 vs. St. Louis; also struck out and had a sacrifice bunt as a batter...Recorded first Major League win on 4/21 vs. Atlanta...Pitched 2.0 perfect frames while winning second game on 4/25 at Philadelphia...Suffered blown save on 5/4 vs. Washington...Suffered second blown save while picking up his third win on 5/12 at New York...Improved record to 4-0 after tossing a scoreless ninth inning in Pittsburgh's walkoff win on 5/17 vs. Houston...Won his fifth straight decision to start the season on 6/2 vs. Cincinnati...Gave up a three-run homer to Cody Ransom and suffered first loss on 6/9 at Wrigley Field...Was scored upon again in next outing on 6/12 vs. San Francisco (1.0ip/2r)...Rebounded with four straight scoreless appearances (6.0p) from 6/15-22...Gave up solo homer to Raul Ibanez and suffered a blown save in the sixth inning at Seattle on 6/26...Made nine straight scoreless appearances (9.0ip) from 6/30 thru 7/21; streak was snapped after giving up a two-run homer to Jayson Werth on 7/24 at Washington...Was scored upon just four times in his last 34 outings (36.1ip/7er - 1.73 ERA), dating back to 6/15...Made six straight scoreless appearances to end the regular season (5.2ip)...Allowed 11 of his 31 inherited runners to score and went 0-for-3 in save situations. 2013 POSTSEASON: Retired each of the six St. Louis batters he faced in Game Four of the Division Series at PNC Park on 10/7 and surrendered two hits and one run in 0.2ip in Game Five at Busch Stadium on 10/9. Spent majority of season with Triple-A Indianapolis, where he led the staff in strikeouts and starts...Ranked second in the International League in strikeouts and led all Pittsburgh farmhands in that department...Became the fourth International League pitcher, and the first since 1946, to be involved in two no-hitters during the same season...Lost three of his first four starts thru 4/23...Pitched 7.1 innings and combined with two relief pitchers on a 2-0 no-hitter at Durham on 4/29; also struck out a season-high nine batters in the game...Was named International League Pitcher-of-the-Week for the week of 4/23-30...Won three straight decisions from 4/29 thru 5/25...Gave up a total of six hits and two runs while striking out 19 batters over a three-start stretch from 6/11-22 (19.0ip - 0.95 ERA)...Also captured Pitcher-of-the-Week honors for the week of 6/11-18...Won season-high four straight decisions from 6/11 thru 7/24...Tossed 6.1 perfect innings and 8.0 no-hit frames before a heavy rain caused the game vs. Charlotte on 8/9 to be called; it was the first no-hitter at Victory Field in Indianapolis since Ian Snell blanked Norfolk on 5/15/05...Was recalled by Pittsburgh on 8/20 and made Major League debut that night in San Diego; tossed 1.0 scoreless inning...Was optioned back to Indianapolis on 8/21 and made his final four Triple-A appearances in relief (1.1ip/3h/1r/1er/1bb/8so)...Was recalled by Pittsburgh on 9/1 and made seven relief appearances to end the season...Was charged with just one run in his eight games with the Pirates, but surrendered at least one hit in six of the eight games...Allowed six of his nine inherited runners to score and opponents went 10-for-22 (.455) against him. Spent entire season with Triple-A Indianapolis and established a minor league career high in games pitched...Ledstaff in wins and tied for fifth in the International League in that department...Began season in the starting rotation and went 4-3 with a1.64 ERA (65.2ip/12er) in his first eight starts thru 5/17...Won six straight decisions from 5/12 thru 6/12...Made first relief appearance(second career) on 6/22 at Lehigh Valley and picked up the win with 2.2 scoreless innings...Went 0-3 in a seven-start stretch from 6/27 to8/1...Made final start on 8/1 at Gwinnett...Finished season making eight straight relief appearances...Recorded first professional save on8/12 at Louisville...Also picked up saves in back-to-back outings on 8/22 and 8/26...Went 2-1 with three saves (four chances) and a 3.38ERA (13.1ip/5er) in his nine relief appearances and 8-7 with a 4.22 ERA (111.0ip/52er) in his 21 starts. Spent entire season with Eastern League Champion Altoona...Ranked second in the league in strikeouts andfourth in ERA...Finished with the second-highest strikeout total in Curve history behind Ian Snell's 142 in 2004...Recorded a victorywhile making first Double-A start on 4/12 vs. Richmond...Lost his next four decisions thru 5/18...Won four straight starts from 5/23thru 6/8, allowing just three earned runs in 22.2 innings of work (1.59 ERA)...Whiffed 10 batters and tossed 6.0 scoreless framesin victory on 5/23 at Erie...Won six straight decisions from 5/23 thru 7/5...Made his first professional relief appearance on 7/5 vs.Binghamton; tossed 5.0 scoreless innings following the start of rehabbing Zach Duke...Lost back-to-back starts on 7/18 and 7/23prior to winning back-to-back assignments on 7/28 and 8/3...Struck out season-high 11 batters while pitching season-high 8.0innings on 8/14 vs. New Hampshire...Was named Eastern League Pitcher-of-the-Week on 8/16...Lost back-to-back starts on 8/25and 8/30 before winning his last regular season start on 9/4 vs. Reading...Started Game Three in each of the two rounds of the playoffsand went 2-0 with a 0.00 ERA and 10 strikeouts...Was named Eastern League Playoff MVP. Spent first full pro season pitching with Carolina League Champion Lynchburg...Led staff in starts and strikeouts...Tied for fourthin the league in walks and tied for third in home runs allowed...Picked up a win while making professional debut on 4/10 vs. Potomac...Won his first two decisions before losing three in a row from 4/26 thru 5/13...Pitched 5.0 scoreless frames while winning third game on5/29 vs. Potomac...Lost his next three decisions thru 7/9...Allowed just three runs and posted a 0.81 ERA in a six-start stretch from 7/19thru 8/16...Whiffed career-high 11 batters and didn't walk a batter while tossing 7.0 scoreless frames on 8/16 vs. Myrtle Beach...Posteda 2.20 ERA (57.1ip/14er) in his final 11 regular season starts...Went 1-1 with a 1.69 ERA in two starts during the post season; startedGame One in each series. April 22, 2019 New York Mets placed LHP Justin Wilson on the 10-day injured list. Left elbow soreness. 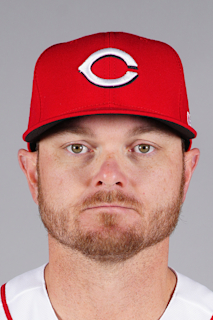 January 28, 2019 New York Mets signed free agent LHP Justin Wilson. October 29, 2018 LHP Justin Wilson elected free agency. October 20, 2017 Chicago Cubs activated LHP Justin Wilson. October 14, 2017 Chicago Cubs reassigned LHP Justin Wilson to the minor leagues. August 1, 2017 Chicago Cubs activated LHP Justin Wilson. September 1, 2012 Pittsburgh Pirates recalled LHP Justin Wilson from Indianapolis Indians. August 21, 2012 Pittsburgh Pirates optioned Justin Wilson to Indianapolis Indians. August 20, 2012 Pittsburgh Pirates recalled Justin Wilson from Indianapolis Indians. March 18, 2012 Pittsburgh Pirates optioned Justin Wilson to Indianapolis Indians. November 18, 2011 Pittsburgh Pirates selected the contract of Justin Wilson from Indianapolis Indians. April 6, 2011 Justin Wilson assigned to Indianapolis Indians from Altoona Curve. January 3, 2011 Pittsburgh Pirates invited non-roster LHP Justin Wilson to spring training. October 8, 2010 LHP Justin Wilson assigned to Mesa Solar Sox. June 11, 2009 LHP Justin Wilson assigned to Lynchburg Hillcats from State College Spikes. June 7, 2009 Justin Wilson assigned to State College Spikes from Lynchburg Hillcats.